Ellyn Ruthstrom is the Executive Director of SpeakOUT Boston, the oldest LGBTQIA speakers bureau in the nation. SpeakOUT has been training speakers to share their personal stories to create open dialogue in schools, colleges, businesses, religious classes, community organizations, and more since 1972. She is the former president of the Bisexual Resource Center, the oldest bi-specific organization in the U.S. Celebrate Bisexuality Day (affectionately called CBD) was initiated in 1999 on September 23rd and the bi+* community marks it each year with film fests, educational forums, parties and all sorts of community activities. This is a blog post about Celebrate Bisexuality Day. Brenda Howard (often nicknamed “Mother of Pride”) helped organize the one-month anniversary and then one-year anniversary commemorating the Stonewall Riots in New York City in 1970 — the first of what we now call Pride marches. Alan Rockway co-authored the first successful gay rights ordinance put to a public vote in Dade County, Florida in 1977. A. Billy Jones-Hennin helped organize the first black LGBTQ delegation to meet at the White House with President Jimmy Carter in 1979. What do Brenda, Alan, and A. Billy have in common? They were all out bi people who played significant roles in the early LGBTQ movement. And today, on Celebrate Bisexuality Day, it is an opportune time to recognize the contributions of these and many other bi activists, writers, artists, and thought leaders who have been a rich part of our whole community’s journey. Celebrate Bisexuality Day (affectionately called CBD) was initiated in 1999 on September 23rd and the bi+* community marks it each year with film fests, educational forums, parties and all sorts of community activities. CBD is now part of Bisexual Awareness Week during which bi organizations and individuals educate the public about bi community concerns and statistics, bi history, and bi culture by tweeting and posting all week long on social media to boost our rare visibility. Though LGBTQ has become a fairly standard way to refer to our community, the B is often the least well-known identity within the acronym. The B was added after a great deal of community-wide discussion in the late 80s and early 90s. By 1993, the national March for Lesbian, Gay, and Bi Equal Rights and Liberation formally included the bisexual community; however, as a participant in that historic event I can attest to rarely hearing the b-word. The one out bi speaker of the day, Lani Ka’ahumanu, was the last official speaker of the day and was even told to cut her five-minute speech down to two minutes. Thankfully, she did not do that! Repeatedly, surveys show that up to half of those who identify as LGBTQ consider themselves bisexual. With that many bi+ people out there, why wouldn’t you want to engage them in your organization? Wouldn’t it be a lost opportunity to ignore them? Are you allowing the biphobia of others in your organization to guide your lack of bi-inclusion? As a community, we often talk about how wonderfully diverse we are and that our community is all about acceptance. Bisexual Awareness Week is a great time to take that acceptance seriously and look more deeply into how to serve the bi+ members of our extended queer family. Being inclusive in one’s organizational name is a great step towards inviting more people under the umbrella of your community concerns. But it’s not the only step. If you haven’t yet done so, maybe it’s time to ask the question, what are we doing to serve bisexuals? As part of Bisexual Awareness Week, I encourage all LGBTQ organizations to take the time to consider how you can boost your bi-inclusiveness and bi sensitivity throughout your programs, services, and organizational leadership. Does your organization have bi+ staff, senior leaders, board members, or spokespeople? When bestowing awards on community members, are you honoring bi+ candidates? When making decisions about programs and services, are all LGBTQ identities being served? Are you working in coalition with bi-specific organizations when working on advocacy issues or event planning? Does your organization mark Bisexual Awareness Week and help to educate the greater community about bisexuality? Add bi-specific groups to your mailing list, advisory board, community partners, etc. 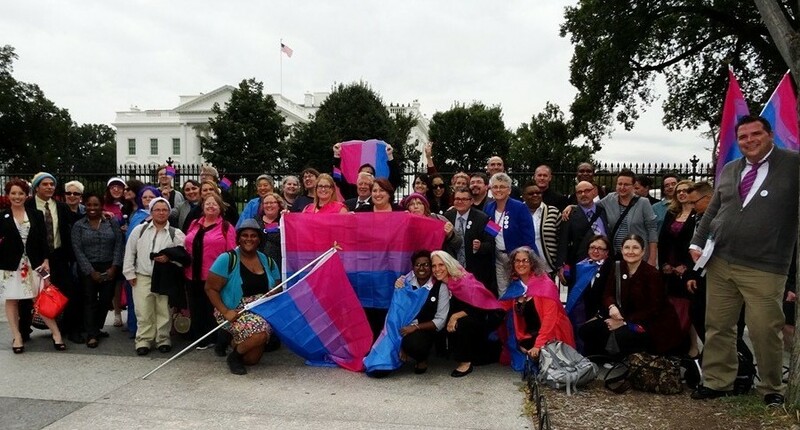 Bisexual people have been involved with the LGBTQ movement since the very beginning and on CBD we tip our hats to Brenda Howard, Alan Rockway, ABilly Jones and all of the other bi+ folks who’ve helped to build a more equitable world for LGBTQ people today. Engaging more bi+ people within our advocacy and within LGBTQ organizations is essential to truly being an inclusive movement. Today is a great day to make that commitment. bi+: An inclusive term to reflect the diversity of identifiers used by those who are attracted to more than one gender including bisexual, pansexual, ambisexual, omnisexual, no label, and others.